Ultra’s Scott Peak, Ken Walker and Bernard Mills briefing the Commanding Officer of HMAS Hobart, CAPT Stavridis, on the DDG’s ASW capability and roadmap for the future. A systems specialist has enjoyed a successful end to 2017, demonstrating strong results with its anti-submarine warfare (ASW) capability relevant to the Hobart Class destroyers’ (DDG) transition to service, as well as to the company’s aspirations for the SEA 5000 Future Frigate Program. In a pair of recent demonstration activities led by the Air Warfare Destroyer (AWD) Alliance in November, Ultra Electronics gave a detailed overview of the latest build of the Hobart Class DDG’s Integrated Sonar System (ISS) software suite, operating it against previously collected live sea trial data. Ultra's regional director Australia and New Zealand Bernard Mills said the company received exemplary comments from the Royal Australian Navy and industry. "Feedback received from senior CASG, DSTG and RAN attendees, as well as crew members of HMAS Hobart, was highly positive," Mills said. "Notably, the strong and stable sonar performance evident in the demonstration included those few areas identified in previous sea trials as needing work. This latest software build was also provided to NUSHIP Brisbane for at-sea builder's ship trials and performed well in that context." It is expected that HMAS Hobart will receive the updated software in early 2018 prior to further scheduled trial events. Also in November, Ultra’s S2150 Hull Mounted Sonar (HMS) successfully completed critical design review, including array trials at Loch Goil in Scotland. 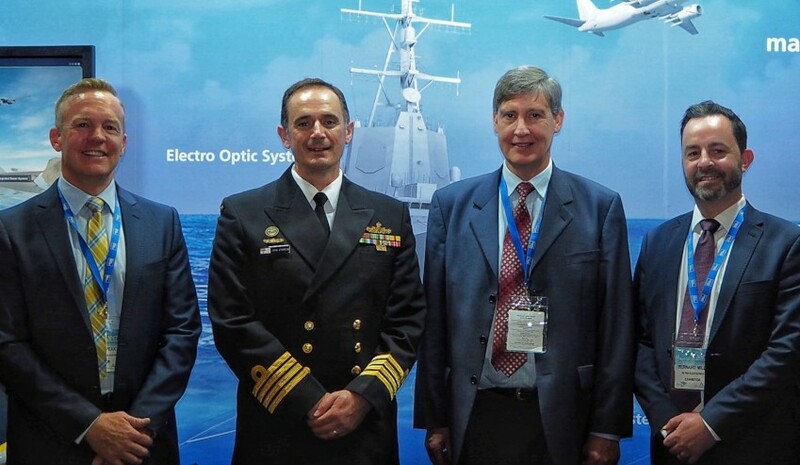 Ultra is hoping to see the HMS solution utilised by Australia's SEA 5000 Future Frigate Program, with the solution offering an added operational benefit of significant operator interface and integration layer commonality with the DDG’s ISS. Defence Connect understands that S2150 is the reference ship HMS for BAE Systems Global Combat Ship – Australia and is "an obvious low-risk upgrade path for the default HMS on Navantia’s F-5000 offering, which already boasts as part of its reference design the uniquely-capable Ultra ISS", Mills said. Ultra was also recently named as a teaming partner for Lockheed Martin's bid for the Canadian Surface Combatant program. The bid is centred on BAE System’s Type 26 Global Combat Ship design, and includes Ultra as the team’s complete ASW solution provider. "This Canadian teaming is of interest in Australia at two levels," Mills explained. "Firstly it shows Ultra to have a high capability end-to-end ASW solution which is de-risked for the BAE Systems Type 26 design. And secondly, it confirms the level of confidence in Ultra as a trusted ASW integration partner within major frigate program teams." Ultra Electronics Australia recently secured the services of four senior market leaders, as part of the company's ambitions to grow from its core electronic warfare expertise to provide full Australian support of Ultra’s global capabilities. Earlier this year, Ultra secured $1.7 million funding in from the federal government to develop innovative technology that provides naval ships with early warning of incoming low-flying air threats, such as anti-ship missiles.